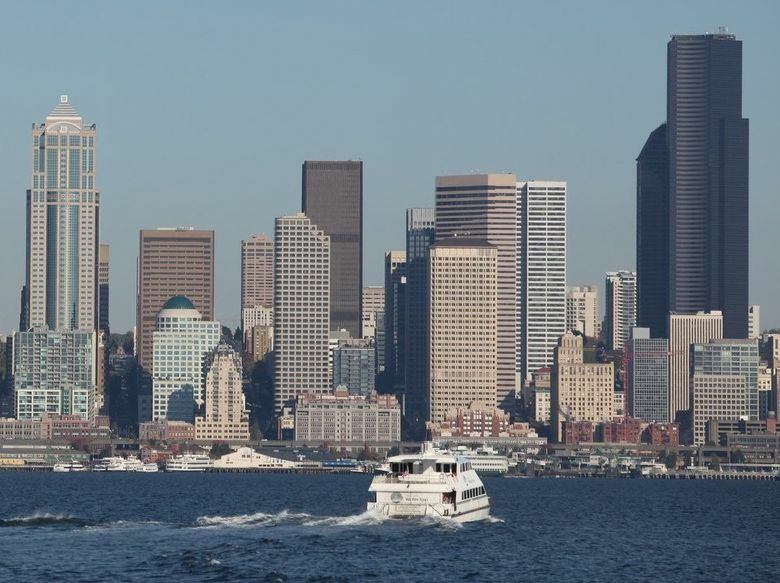 Clear skies, good coffee, a boat ride on Puget Sound and more. The perfect day. We’re having a ton of them lately, with many more to come. Summer in Seattle brings an embarrassment of sunshine riches, humidity-free, 72-degree days and long, temperate evenings. The possibilities of what to do on your perfect day are as wide open as the skies are blue, but we have a few ideas about how to spend one of these glorious summer days. Wake up with the best coffee in Seattle. There are trendier chains (Stumptown), and more fanciful coffeehouses (Starbucks Reserve), but the gold standard in Seattle roastery for anyone who knows anything about coffee is Espresso Vivace. Though there are three locations to choose from, the sidewalk bar on Broadway Avenue and East Thomas Street, with its sidewalk table, makes for perfect people-watching. 321 Broadway E.
Grab a baguette to go. 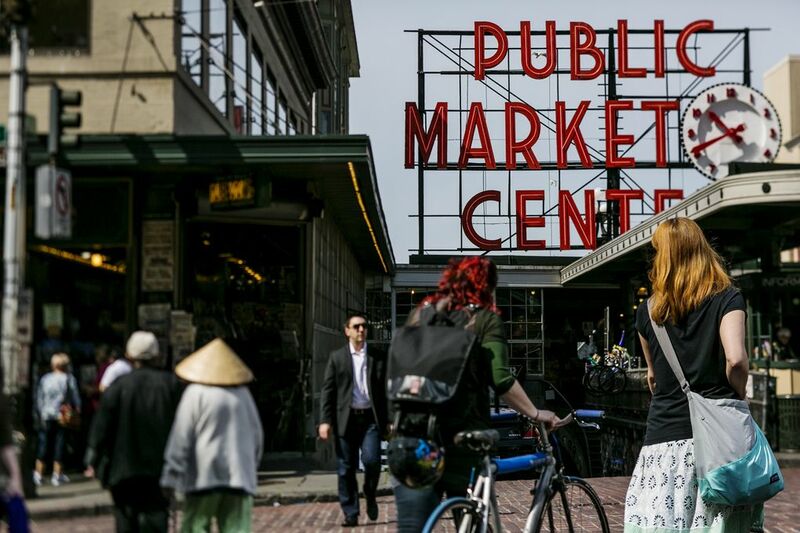 Make your way down the Hill toward downtown for a leisurely 30-minute stroll toward the Pike Place Market. There grab a baguette or croissant au beurre from Le Panier, whose bread seems to be laced with addictive substances. 1902 Pike Place. Check out some art. 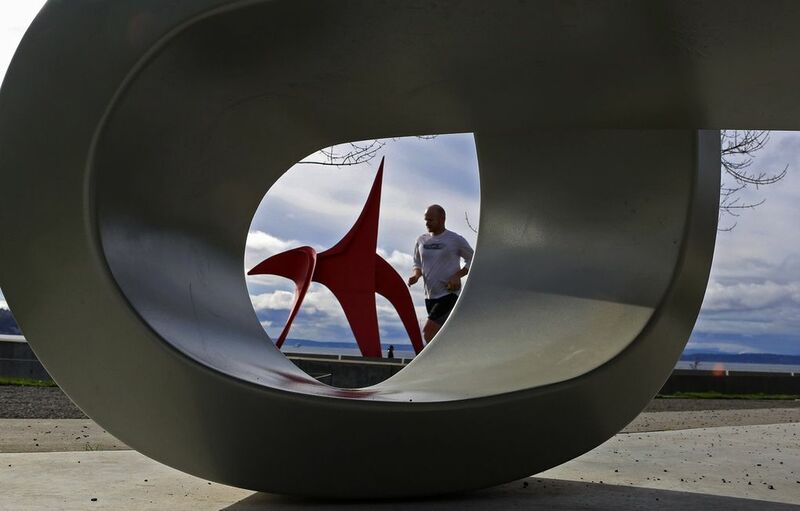 Continue north along the waterfront until you reach the artistic visions of the Olympic Sculpture Park, which until 2007 was a knotted, industrial wasteland. After perusing the park’s pieces such as Richard Serra’s “Wake” and Alexander Calder’s “Eagle,” perch yourself on a park bench and gaze at the Puget Sound’s crystalline water while you munch your goodies; pull out a book or magazine and read something other than Twitter on your phone. Relax. 2901 Western Ave.
Gaze at the waterfront. After an hour (or three), meander back toward the market and stop at Anthony’s Fish Bar on Pier 66; skip the more expensive restaurant next door and grab a draft beer or a glass of white wine (or soda, if you don’t feel like imbibing) and sit by the docks. Take Instagram pictures — tagged #nofilter — to make all your friends who live somewhere else jealous. 2201 Alaskan Way. Cruise the Sound. Brave the waterfront’s messy sidewalk sprawl (thanks, Bertha), and head to Pier 50 about a mile and a half south where the King County Water Taxi departs to West Seattle every hour on weekends. Swipe your Orca card ($4 each way) or fork over $4.75 in cash for a one-way ticket and enjoy the serene 15-minute cruise over the Sound to the shores of West Seattle, ending at Alki Beach. 801 Alaskan Way. Get some grub. That arduous trip left you starving, so lucky for you there’s a Marination Ma Kai, an offshoot of the popular Korean/Hawaiian food truck, right there where the water taxi lands. Grab a seat on the outdoor patio and bask in the glory of Seattle summer while you eat spicy pork tacos or kimchi quesadillas, washing it all down with a Lychee margarita. 1660 Harbor Avenue S.W. Be a beach bum. After you’ve gorged yourself, you can choose to take a stroll up Alki — or, if you’re feeling adventurous — rent a bike, a pair of roller skates or a kayak from Alki Kayak Tours. (You can even rent a small fishing boat). 1660 Harbor Ave. S.W. 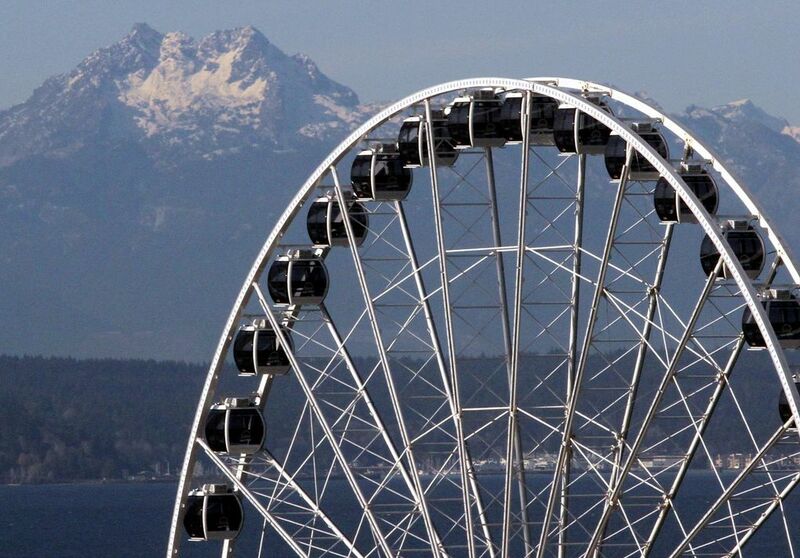 Ride the Great Wheel. After you’ve soaked in the sights, hop back on the Water Taxi (commuting has never felt so glamorous) and take it to downtown. There, you will be beckoned by the Great Wheel, the gargantuan Ferris wheel, which, at 175 feet high, is the biggest on the West Coast. Each glassed-in gondola is climate-controlled, and the ride takes a total of about 15 minutes (three revolutions), but when there’s a crowd during the summer months it takes a while to load and unload the wheel, which gives you even more time suspended in the air to take in the quite spectacular view. Time it right and you might be lucky to be riding during sunset and dusk. 1301 Alaskan Way. Have a nightcap. If you still have the energy (and money) for a nightcap, one of the best places in town to get a cocktail is just steps away. Zig Zag Café is known for its carefully crafted cocktails, from the classics (Old Fashioned) to the bar’s own creations (Normandy Park) and has made it onto many national lists. The room is lit romantically in a pretty pink hue, which makes it popular for date nights. The seasonal-food menu changes — you can get everything from light snacks (almonds and marinated olives) to more substantial fare, from mussels to a meat and cheese plate to burgers to pair with the delicious libations. Perfect. 1501 Western Ave., No. 202.